Carson City, Nevada, Nov. 7—Democrat Steve Sisolak was elected as Nevada’s next governor yesterday in the midterm elections, defeating Republican challenger Adam Laxalt. 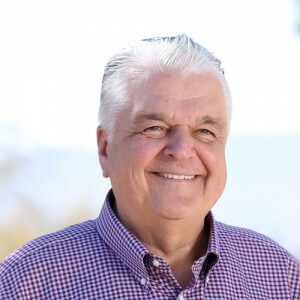 While campaigning, Sisolak completed a disability issues questionnaire for Senate and gubernatorial candidates put out by RespectAbility, a nonpartisan, nonprofit national organization working to end stigmas and advance opportunities for people with disabilities. The questionnaire included 10 questions on topics important to people with disabilities and those close to them. Adam Laxalt, the Republican candidate, did not respond to requests to complete the questionnaire. There are 198,826 working-age people with disabilities living in Nevada, and 83,453 people have jobs. With an unemployment rate for people with disabilities of 58 percent, Nevada ranks 13th on this list of the best states for employment for people with disabilities (42 percent). Answer: Combating these unfair stigmas starts with focusing on the abilities of disabled Nevadans — not their limitations. This is especially true in the workforce, where companies too often think that PwDs cannot perform their duties. As governor, I will use the power of my office to draw attention to the critical need for inclusive employment. Apprenticeship programs also help combat the stigma faced by PwDs as employers can see, firsthand, how much our disabled citizens have to offer in the workplace. I will work with disability advocacy organizations like RespectAbility to maximize exposure to this issue in the press and bring real solutions into the office space for our disabled citizenry. Answer: As Clark County Commissioner Chair, I have been a strong supporter of Opportunity Village, which ​provides​ “vocational training, community employment, day services, advocacy, arts and social recreation,” so that “citizens with severe disabilities are able to find new friends, realize future career paths, seek independence and community integration and unleash creative passions.” My recent support includes: – A contract with Opportunity Village to provide employment at McCarran Airport that I voted for in June 2018. – A $25,000 grant to support the Fostering Independent Program at Opportunity Village that I voted for in February 2017. – A lease extension for Opportunity Village to use County land for client residences that I voted for in September 2016. Answer: I’m a huge advocate for early work opportunities — especially as a catalyst for a fully accessible education. Apprenticeships expose PwDs to the transition from school to work and better prepare them for the challenges that come with professional experience. There are already some existing best practices to encourage youth employment. Among the best programs is Project SEARCH, which is a one-year fully integrated workplace program for PwDs. The goal is to secure competitive employment, and the 70 percent success rate speaks for itself. We must also improve post-secondary education opportunities by integrating career services and disability services into a hybrid program for PwDs on college campuses. Answer: I believe that any policy to improve the educational experience of students with disabilities must begin with a strong educator partnership. We must equip our teachers, guidance counselors, and school social workers with the resources and tools to identify possible disabilities and move forward with the diagnosis process. The earlier we can identify the challenge for a student, the earlier we can establish an accommodating plan of action to help the student along the educational process. This is especially true for minority students, who are suspended from school and involved with the justice system at a disproportionate rate. Disability screenings for justice-involved youth to be implemented in the newly passed Every Student Succeeds Act will also aid this effort. Answer: Here’s an important statistic to remember when we talk about skills training in the criminal justice system — two-thirds of inmates in state prisons did not complete high school, and seven out of 10 people in jail are high-school dropouts. To secure proper skills to succeed after incarceration, we must improve GED attainment opportunities in the prison system. In order to use those skills, however, we need healthy citizens. The mental health crisis post-prison is real. While an inmate may be stable with medication in prison, it is estimated that between 70 and 90 percent of people released from the justice system are uninsured. And without Medicaid, they will lack the full capacity to reintegrate into society. We must ensure that health care is affordable and accessible for all Nevadans if we expect formerly incarcerated citizens to recover and succeed. Answer: To address the victim rate of PwDs, we must first understand the scope of the problem. There are estimates of nearly 60,000 adults with disabilities being raped or sexually assaulted each year. Working with authorities to combat this issue must be a priority for the next governor. On the topic of police violence, the role of mental health as a catalyst vastly undervalued. If an officer does not understand the contextual signs of a disability, they may use unnecessary and harmful force. Officers and civil workers must be trained to respond to individuals with disabilities of all races. And the earlier we can provide testing and services to children in determining a disability, the more preventative action can be taken to prevent negative outcomes in the justice system. Answer: For people with disabilities, medical needs are often what preclude them from having a job. Many are only covered by Medicaid and have personal limitations that only this program can protect. Asset and income restrictions further complicate this issue, as their desired job may put them above the threshold to receive the care they need. I would like to look into a Medicaid buy-in option to help PwDs move into paid work while maintaining the health-related support they must receive. Again, we need to ensure that Nevadans’ care is accessible and affordable, no matter their personal challenges. A healthy society is a productive society, and PwDs have just as much of a role in that America as their abled counterparts. Question 8:What are your thoughts on ensuring that people with disabilities have the option to live in their homes instead of institutions and still have the community attendant supports they need to live? Answer: The housing crisis in the United States severely affects people with disabilities, as they are the most vulnerable population with the lowest income to offset their challenges. This is especially true for the aging baby boomer population, who develop more disabilities as they get older. The shortage of home and community-based care forces PwDs into a tough situation — give up your freedom to ensure the care you need, or struggle to maintain your housing while risking your health. This shouldn’t be a choice any disabled individual should have to make. We must continue to invest in Medicaid so that PwDs can have access to personal care assistants in their homes. We must also address the disincentive of getting a job if it means giving up your care. A personal care assistant should be there to help PwDs lead a normal life — and if income is the barrier to receiving these services before work in the morning, then we must change the threshold to accommodate disabled Nevadans. Answer: From wheelchairs and hearing aids to screen readers and voice recognition software, I’m a huge proponent of assistive, adaptive, and rehabilitative devices for people with disabilities. It’s one of the many reasons I’m a huge proponent of STEM initiatives focused on public health. We must fund technological advancements if we hope to reap the benefit and help PwDs in need of our support. Answer: I will be consulting the RespectAbility toolkit to ensure that moving forward and will continuously work to make my events are as accessible as possible.